Did you know that you can run multiple instances of SOLR on a machine for local development as a Sitecore developer? Since we have moved on from Lucene to SOLR in our development efforts starting with 9 it makes sense to move to SOLR starting in version 8 as the move will be inevitable. With Lucene as our old index provider this didn’t used to be a problem having several instances of Sitecore on our local machines, but when you start using SOLR you need to be cognizant of a few things so you can set up your development environments quickly. What you need to know when setting up many instances is that there needs to be a common JRE that will work for ALL SOLR instances on your local machine! I am currently using SOLR 6.6.2 for SItecore 9, and SOLR 5.5.2 for Sitecore 8.2. When I tried to start my SOLR 5.5.2 instance I got an error that I needed “Java 1.7 or higher” even though I had JRE 9.0.1. Makes no sense right? Bottom line is that SOLR 5.5.2 doesn’t play well with the later versions of Java. Again, I needed to have a common JRE that worked with both instances of SOLR (5.5.2 & 6.6.2) and that was Java 8 (8u162). Once I uninstalled 9.0.1, installed Java 8 (8u162), and then modified my JAVA_HOME environment variables to point to the freshly installed Java 8 (8u162) instance, I was able to start both SOLR instances as Windows services with NSSM on port 8985 (5.5.2) and port 8986 (6.6.2) respectively. Once you have that in place per Sitecore instance you are all set. Happy coding! 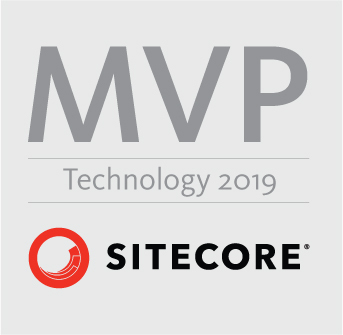 This entry was posted in Did you know..., SOLR and tagged multiple instances, sitecore, SOLR on April 6, 2018 by Toby Gutierrez.